A growing movement in response to the crazy consumerist lifestyle that is killing our communities and destroying our planet. A way out of the madness…a breath of fresh air…a way to find peace and solitude. An understanding that less is more, and that too much stuff makes life stressed and difficult. A recognition that there is such a thing as enough. A philosophy that teaches calm, common-sense and practicality. An idea that can work with any religion… or no religion at all. 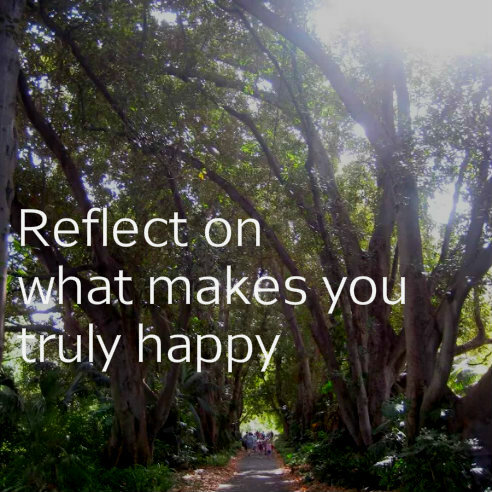 A way to reflect on who we are and what we truly need to be happy. A desire to place people and communities above things and profits. An understanding that stuff will never truly fulfil us and make us happy. Knowledge that the best things in life aren’t things.